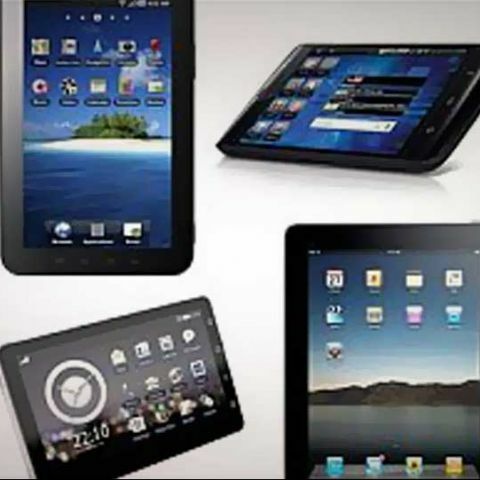 Research firm IDC has raised its forecast for the tablet market for 2012 to 123.3 million, up from its previous prediction of 117.1 million units. IDC attributes a strong competitive landscape including growing Android tablet shipments and robust demand for Apple's newly launched iPad mini for the raising the forecast. 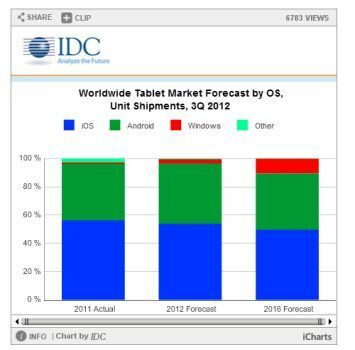 IDC in its latest prediction update of Worldwide Quarterly Tablet Tracker also raised its 2013 forecast number to 172.4 million units, up from 165.9 million units. And by 2016 worldwide shipments should reach 282.7 million units, up from a previous forecast of 261.4 million units. Apart from raising the forecast for 2013, IDC has also updated its operating system splits for the year. The update shows Android's massive growth in the tablet segment. The research firm predicts Android's global tablet share to increase from 39.8 percent in 2011 to 42.7 percent for the full year of 2012. IDC also hints a slump in Apple's share. According to IDC, Apple's share will slip from 56.3 percent in 2011 to 42.7 percent for the full year of 2012. 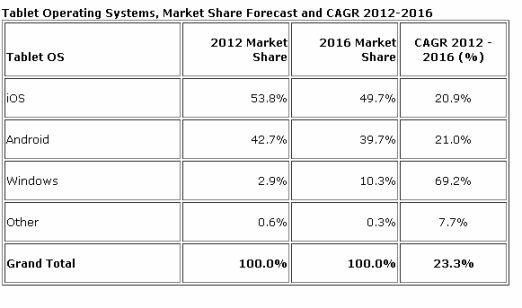 For Windows-based tablets (including Windows 8 and Windows RT), IDC expects the OS will grab share from both iOS and Android, growing from 1 percent of the market in 2011 to 2.9 percent in 2012, on its way to 10.3 percent in 2016. "The breadth and depth of Android has taken full effect on the tablet market as it has for the smartphone space," said Ryan Reith, program manager for IDC's Mobile Device Trackers. "Android tablet shipments will certainly act as the catalyst for growth in the low-cost segment in emerging markets given the platform's low barrier to entry on manufacturing. At the same time, top-tier companies like Samsung, Lenovo, and ASUS are all launching Android tablets with comparable specs, but offered at much lower price points."